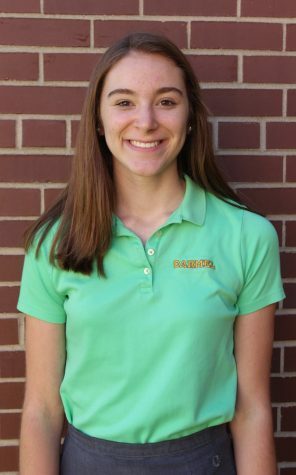 In her second year on the Crossroads staff, Megan Brinkman is one of your two 2016-2017 editors-in-chief. If life was a movie, Megan would be the one spontaneously breaking out into song at the weirdest times. Sometimes she thinks that she was born in the wrong time because she’s in love with Audrey Hepburn, bell bottoms, scrunchies, and 90s hip hop. Full of quirky facts and stories, she’s the girl who knows a little something about everything. You can find her at the nearest Ben & Jerry’s or with her nose in somebody else’s business.